Will UFC veteran Stephan Bonnar be released if he loses to Krzysztof Soszynski at UFC 110? Stephan “The American Psycho” Bonnar might be best known for his all out battle with Forrest Griffin at the 1st ever The Ultimate Fighter finale. Since his hard fought decision loss to Griffin back in 2005, Bonnar has gone 5-5 in his UFC career beating the likes of Keith Jardine, James Irvin and Eric Schafer. Bonnar has only ever lost to tough competitors such as Rashad Evans, Mark Coleman, Jon “Bones” Jones and obviously Forrest Griffin (twice). So why does Stephan Bonnar really need this win over the very tough Canadian Krzysztof Soszynski? Although going 5-5 in the UFC as well as only losing to tough competition, the UFC generally has a three strike and your out policy and Bonnar has lost his last two fights. Those fights being to up and comer Jon Jones as well as MMA veteran Mark Coleman. Krzysztof Soszynski poses a lot of threats to the UFC veteran and could very easily hand Bonnar his walking papers. Let’s hope that his famous career launching fight with Griffin will keep around a little longer. UFC 108 has a stacked card and will be available January 2nd, 2020 on PPV. As usual, I will only be predicting the results of the main card as well as the two preliminary fights being shown on Spike TV. Plain and simple. So there are my predictions, plain and simple. For those of you who don’t know, I also write on Aaron Tru’s website. You can check out my work aswell as others MMA writers/interviewers work at http://www.MMAPrime.tv . Be sure to stop by for all the latest news in MMA. 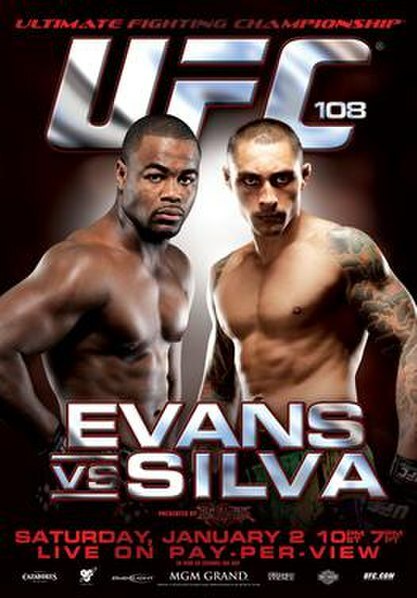 As usual, I will only be giving out my predictions for the main card. So here they are, plain and simple. There you have em, plain and simple. Shane Carwin out of Limbo? Shane Carwin announced early this morning on his official website ( http://www.shane-carwin.com/profile/ShaneCarwin ) today that he now has an opponent aswell as a date. Soon after posting his statement MMA Junkie reported that there has been talk about a potential Interim title bout between Carwin and Frank Mir for UFC 111 in Newark, NJ on March 27th. 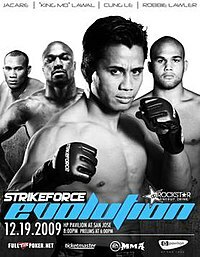 This makes a lot of sense aswell because of Frank Mir’s dominant performance over French kickboxer Cheick Kongo at UFC 107. Shane Carwin even had nice words to say about his Mir’s performance. “A win like Frank had last night surely propels him to share the top of the division with Nog, Cain and myself. If beating Kongo was enough to propel Cain to number two contender status, destroying Kongo might edge Cain out. What is more compelling is that Mir made it our of that fight injury free so not only is he at the top of the division he is likely ready to fight sooner then later”. “The main question I am getting is would I fight Frank? The answer is easy YES. I am not a fighter who decides who he fights, I fight who I am told to fight. I like it that way, I am not trying to build a legacy I am trying to fight the best fighters in the World and determine where I fit in. Mir is a Multiple time Champion, who has been counted out more then Mike Tyson to only find himself right back at the top. He is a LEGEND of the sport and I would be honored to fight him”. It’s easy to agree that Frank Mir is worthy of being at the top of the division and in an essence, his dominant performance over Kongo stopped the heavyweight divisions stalemate and has again made this division exciting. Would the fans like to see Carwin vs Mir? Hell yeah, that would be a great fight. It would be great to see the change in Mir and how Carwin would handle the well-rounded Mir. Although even after an Interim Champion is crowned, the victor would most likely have to fight the victor of the Nogueira/ Velasquez fight before getting to the ill Brock Lesnar. Let’s hope these men sign the contract and fight the honest fight aswell as a speedy recovery from Brock Lesnar. My good buddy and MMA reporter Aaron Tru was just trying to surprise MMA fighter Frank Trigg and he ends up getting pushed. Hard job being an MMA reporter.